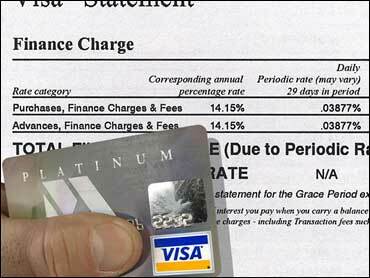 Credit card holders are sent credit card statements periodically, typically once a month. A credit card statement is a summary of the credit card account activity during the previous time period. The statement shows new changes and cash advances, payments made by the cardholder during the previous period, finance charges levied, the outstanding balance, and the amount of credit available, and the minimum payment due. Many of these values depend on the credit terms of the account. Credit card holders should review the statement each month to verify that the charges are correct. Credit cards may look the same, but there are some major differences in the various types of cards. The differences involve where the card is accepted, payment terms, account conditions, and special benefits. The major types of credit cards are bank cards, retail credit cards, and travel and entertainment cards. Bank cards are open account credit cards issued by banks, other financial institutions, and some non-financial institutions that allow the card holder to charge the purchase of goods and services wherever the card is accepted and to receive cash advances. Visa, MasterCard, and Discover are the most popular and most widely accepted bank cards. Although financial institutions are the most frequent bank card issuers, some non financial organizations (such as General Electric, AT&T, and General Motors) also issued bank cards. Banks and other organizations issue credit cards because they are profitable products. Many bank cards require card holders to pay an annual fee, and levy rates on outstanding unpaid balances. In addition, the issuer pays the retailer less than the full value of the charges goods or services. Finally, the issuer collects penalties for failure to pay the minimum amount on time and fees for certain card services, such as issuing cash advances. There are a number of specialized bank credit cards-cards that are defined for some special purpose. These cards include prestige card, affinity cards, and collateralize (secured) cards.